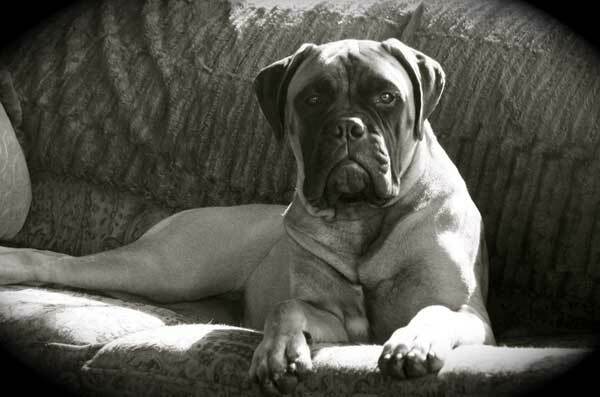 Bramstoke Bullmastiff Kennels have evolved from twenty years of involvement in the dog world. This involvement includes grooming and retail pet store operations, veterinary clinic work, kennel management, conformation showing, obedience training and canine nutrition education. 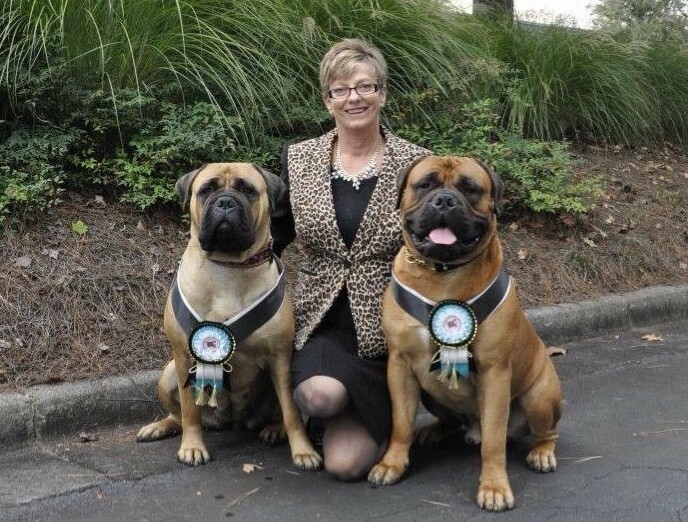 Over the past ten years I have been asked to write for many global bullmastiff publications including Dogs In Canada, Canine Review, Modern Mollosser, World Book of Bullmastiffs and the Bullmastiff Fanciers of Canada magazine. The goal of our breeding program is to breed to the Canadian Kennel Club standard of conformation without sacrificing temperament, soundness or quality. It is our aim to provide a solid stable guardian, that is a pleasure to own and brings pride to its’ owners. Our emphasis is on health and temperament. All of our breeding stock has proven itself in the show ring and attained their Canadian championship and is certified free of hip dysplasia and congenital eye problems. When possible we put our dogs through the canine good citizen test and train to basic obedience levels. The Bullmastiffs found at Bramstoke are first and foremost our pets. All of our dogs live in our home and are part of our family. It is our philosophy that if you have more dogs than you have time for then you have too many dogs. Every dog deserves the right to be someone’s pet and should get his or her share of love and attention as well as exercise and training. Our Bullmastiffs participate in socialization, obedience lessons and canine good citizen tests to ensure the stability of their temperament. They are kept active by patrolling the four acres they call home and keeping it rabbit free! In winter they are harnessed to a racing dog sled and take all the neighborhood children for rides. The doors at Bramstoke are always open for visitors to come and meet our canine family. There is always time for people to become familiar with the breed, ask questions and feel comfortable with us as breeders of their future family members. Our care and concern for our Bullmastiffs does not end when they go out the door. We guarantee our dogs against hereditary illness and disability, and we will take back any of our dogs, for any reason, at any point in their life if their owner is no longer able to care for them.